Summary: Located in Mooresville, NC, The Quarry at Carrigan Farms, LLC is a natural, spring fed, body of water where swimming is enjoyed by many. Mined in the late 1960’s for its granite stone, once a spring was discovered, the quarry filled with water and is now a favorite spot for those wanting to cool off in the summer. Summary: Beloved children’s books will come alive with Storyland: A Trip Through Childhood Favorites, an imaginative, book-based experience for children ages birth to 8 years old. 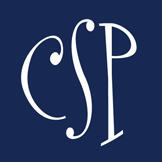 Summary: Since 1983, Summer Pops has brought the Charlotte community together to share picnics, laughs, and great music with family and friends. Your favorite summer concert series now includes the Symphony Park experiences you love PLUS two new uptown in-theater options. Tickets to all Summer Pops performances – indoor and outdoor at the Park – are available individually or as part of discounted packages. See tabs above for Premium Club Seating and ticket packages. Tickets to outdoor performances at Symphony Park are also available at the gate. Summary: River Jam at the U.S. National Whitewater Center brings together live musical performances throughout the year to a one-of-a-kind outdoor venue, right in the middle of the world’s largest man-made whitewater river. Genres including roots rock, americana, bluegrass, folk, and funk take center stage Thursday, Friday, and Saturday nights as well as during each of the USNWC’s festivals. Bring your friends, enjoy our large food and craft beer selection, and take in the sights and sounds of River Jam. Summary: Concerts start at 7:00pm and movies start at 8:00pm. Summary: Live music every Friday and Saturday during the summer. Summary: Live music every Friday and Saturday night throughout the summer. Summary: 2nd Friday is #OTC’s monthly throw-down featuring a jam-packed lineup of live music, food trucks, craft breweries, local artists, kids activities and much more! The event is RAIN or SHINE so mark your calendars because this is going to be a festival series that you simply don’t want to miss! Summary:Tuesdays and Fridays from April 3rd, 2018, through August 31st, 2018, enjoy live lunchtime music in Romare Bearden Park. The 2018 Smarty Camp Guide to the rescue!